Song of the day: The Twin-Sets – "Romance"
Casting aside my current and all-consuming infatuation with 10cc (“The film of my love will travel the world…”) for a little while, I’m making an extra effort today to do what I’ve been asked by a few bands to do – i.e., listen to their music and let you know about it. Today’s band is The Twin-Sets, and they’re from Spain – specifically, a city called La Coruña in the north-west of Spain. 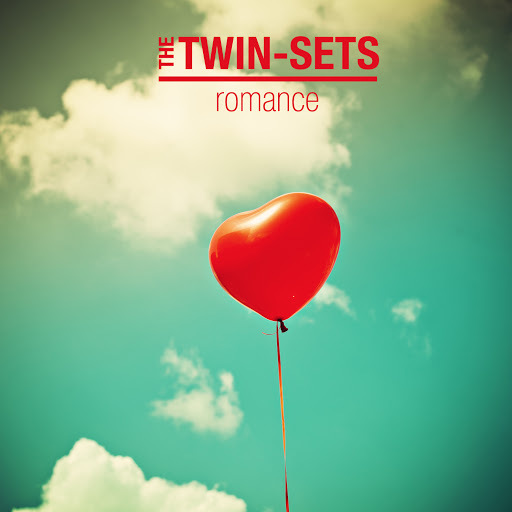 The Twin-Sets have released an EP entitled Romance, and I’ll admit straight away I like the cover artwork. I think it’s cute. I’m really hoping The Twin-Sets aren’t sarcastic, and mean what they play. This is a promising start. The beginning of this reminded me of Van Halen’s “Little Guitars”, which is one of my favourite Van Halen songs. Then the song settled into what it is – a melodic power pop song. It’s enjoyable-ish. It’s not setting my world on fire (mainly because I’m not hearing anything terribly unique or out of the ordinary), but it’s pleasant. Trivia: In this song, the singer frequently sounds a little sharp. This one immediately reminded me of The Housemartins’ “Happy Hour”. Now there’s a bit of variety for you: Van Halen and The Housemartins. Guitar solo comment: I wasn’t keen on the note the guitarist chosen at 1:27. Grrr. To me it need to be a semitone higher. Just that little bit higher and I wouldn’t have felt compelled to type an unnecessary comment in a blog post about The Twin-Sets. Ah well. I liked the “oh oh” singalong starting at 2:21. Quick summary: I prefer “Start Again” to “Escuché”. I’m enjoying all the disparate artists The Twin-sets are reminding me of. It’s fun. Summary after three songs: “Start Again” is my favourite track, followed by “Looking For A Reason” and then “Escuché”. For me, this was OK. Sorry I can’t be any more expansive about this track, but nothing in it got me excited enough to comment. The singer’s back in Michael Stipe mode. I didn’t mind this song, but… ah… er… um… I want to say more about what I’m hearing, but the music isn’t enthusing me enough to go “Yeah!”. I am enjoying it, but I’m having trouble thinking of anything unique or enlightening to say about it. When this track started, that opening guitar part sounded familiar and I wondered where I’d heard it before. Then I remembered: it’s R.E.M. again. I have a feeling The Twin-Sets like R.E.M.. I liked the chorus, and thought this song was a good one to end the EP with. I want to be more enthusiastic about what I heard, especially as Jorge, the member of The Twin-Sets who told me about his band, was very nice in his email, but it’s not quite my kind of music. Ah, the mysteries of personal taste. Thanks for letting me know about the music, Jorge. I hope it finds its way into the ears of people who will appreciate it more than I did. It’s well played and recording, so I reckon The Twin-Sets will have little trouble finding a receptive audience. You are currently browsing the archives for the Twin-Sets category.